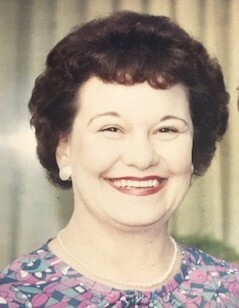 Marjorie Annette St. Aubin, 98, of Colfax, formerly of Chippewa Falls, died Thursday, March 21, 2019 at Colfax Health and Rehab while under the care of Heartland Hospice. She was born on February 18, 1921, in Chippewa Falls, the daughter of Robert and Hilda (Christopherson) Sweeney. Marjorie was united in marriage to Robert Madson and was blessed with one child. She then married Clyde St. Aubin in 1946 and moved to Cornell. She worked outside of the home during WWII and was a homemaker. She enjoyed reading, fishing, and helping her mother at Chippewa City Resort in Eagle Point. Marjorie is survived by her grandchildren, Mark (Mary) Madson of Hutchinson, MN, Randy (Linda) Madson of Dassel, MN, and Jackie Madson (Patty Richert) of Princeton, MN; daughter-in-law, Alice Madson of Hutchinson, MN; 9 great-grandchildren; 9 great-great-grandchildren; and many nieces and nephews. A funeral service will be held at 11 a.m., Monday, April 15 at Pederson-Volker Funeral Chapel with Rev. Robert B. Hoekstra officiating.